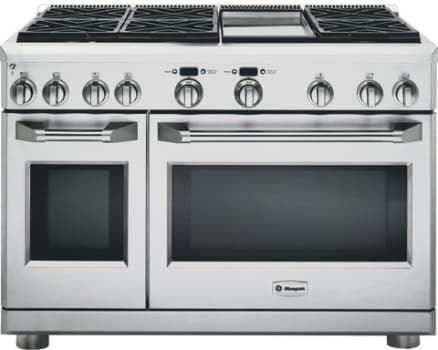 Stainless Steel Handle This oven offers a sturdy stainless steel handle, giving your kitchen a clean, professional look. 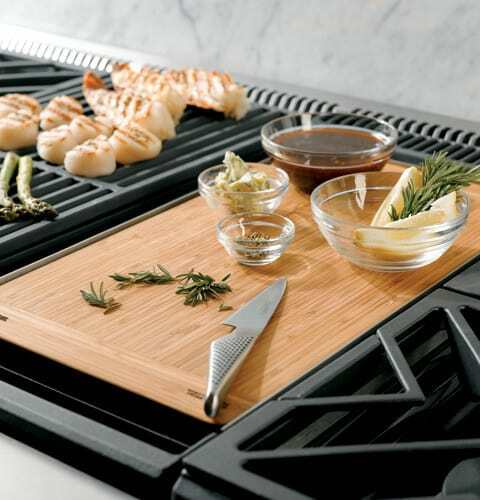 Griddle You can make the perfect Sunday breakfast with a griddle on your range. Make the perfect pancake, grill some sausage links, or even get a great sear on a fish filet for dinner. Double Oven Holiday feasts can take a long time to prepare. 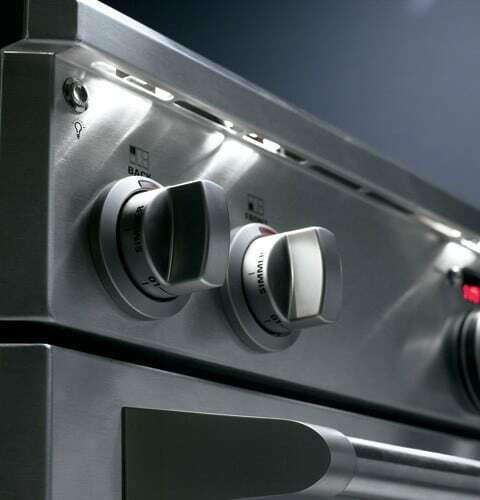 Cook multiple dishes with different heat settings at the same time with a double oven design. Star-K Certified Star-K professionals inspect home appliances from top to bottom to confirm that they meet all requirements for proper religious observances. When you see that a product is Star-K certified, you can trust that it can be used during the Sabbath and on annual holidays. 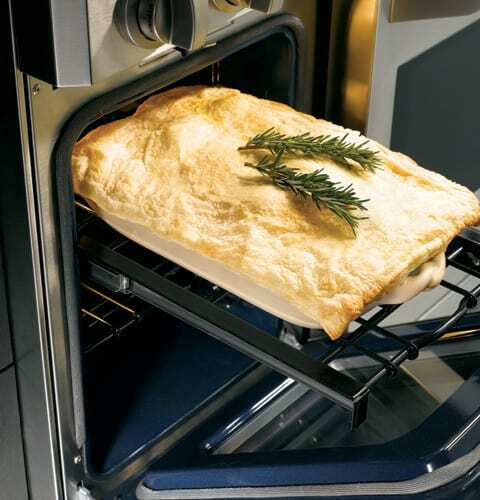 Primary Oven Capacity: 5.75 Cu. Ft. Secondary Oven Capacity: 2.5 Cu. Ft.
GE Consumer and Industrial spans the globe as an industry leader in major appliance, lighting and integrated industrial equipment systems and services. They provide solutions for commercial, industrial and residential use in more than 100 countries which uses innovative technologies and "ecomagination." It's a GE initiative to aggressively bring to market new technologies that help customers and consumers meet pressing environmental challenges to deliver comfort, convenience and electrical protection and control. GE brings imagination to work. Available at AJ Madison. No matter how you look at it, the GE Monogram Collection puts the kitchen of your dreams within the realm of possibility. With three distinct styles and seemingly endless options for customization, only Monogram gives you complete freedom to follow your vision. Monogram integrated appliances reflect a mindset that says, "Fine design endures." Shaped and polished to seamless perfection, these sleekly styled appliances capture the essence of timeless sophistication. Monogram professional appliances offer a slightly different angle on appliance design. Lustrous, premium-grade stainless steel with chamfered, hand-finished edges makes a powerfully compelling statement that translates boldly and beautifully to any decor. Monogram custom-panel appliances provide the perfect canvas for creative expression in the kitchen. Start with a refrigerator or dishwasher, personalize it with a panel of your liking and - voila! - you have something stylish, artful and unquely you. 35 1/4" to 36 3/4"
3 1/4" to 4 3/4"
Authentic Professional appearance with premium-grade, 304 stainless steel with smoothly finished edges, large electronic control knobs and heavy duty handles. Sealed, dual-flame stacked burners deliver a full spectrum of heat settings, from an ultra-low 140°F simmer to an intense 18,000 BTUs. Monogram Professional oven system combines European, Reverse-Air convection technology and six heating elements in each oven to provide superb baking results. 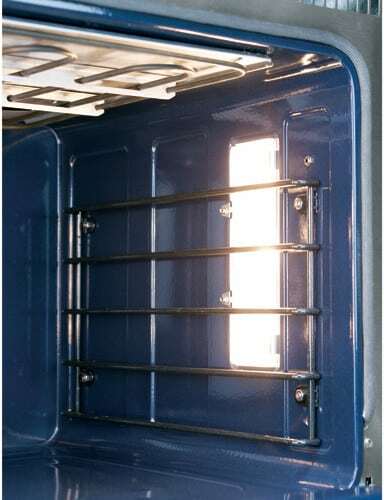 Heavy-duty, full-extension racks glide smoothly in and out on stainless steel ball bearings for easy access, and are designed to remain in the oven during the self-clean cycle. LED task lights below the bullnose provide a functional and theatrical touch. 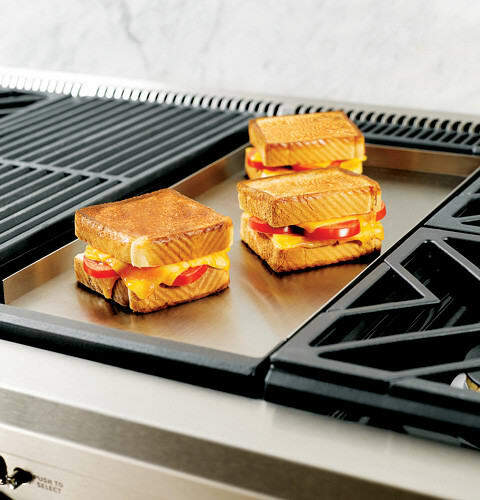 Stainless steel and aluminum-clad griddle offers 18,000 BTUs of cooking power, allowing fast and consistent heating across the entire cooking surface. Electronic ignition with automatic reignition ensures a continuous flame and reignites automatically if accidentally extinguished. 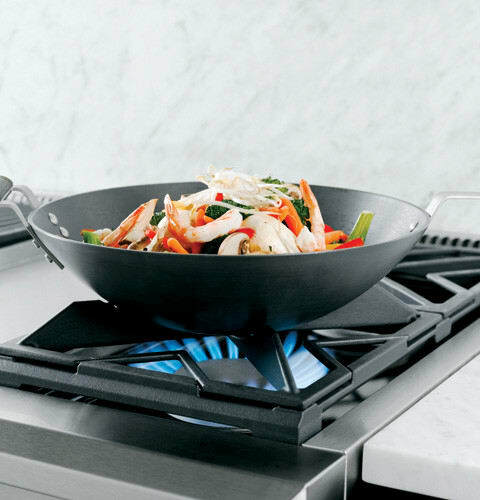 Reversible burner grates are flat on one side and uniquely contoured on the other to accommodate round-bottom woks. 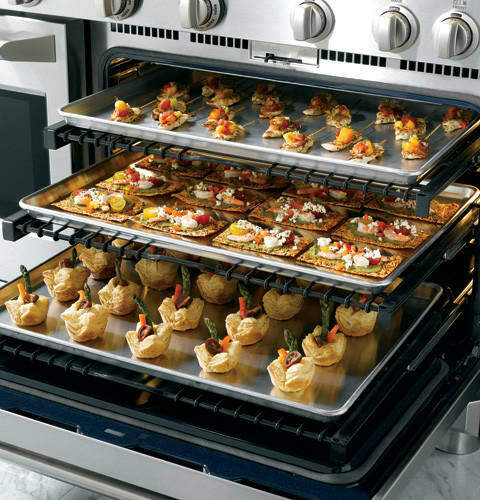 A caterer's oven is uniquely sized to accommodate three full-sized sheet trays. Everyday oven is just the right size for 9" x 13" casserole dishes. Halogen light columns provide a clear view, regardless of rack position. 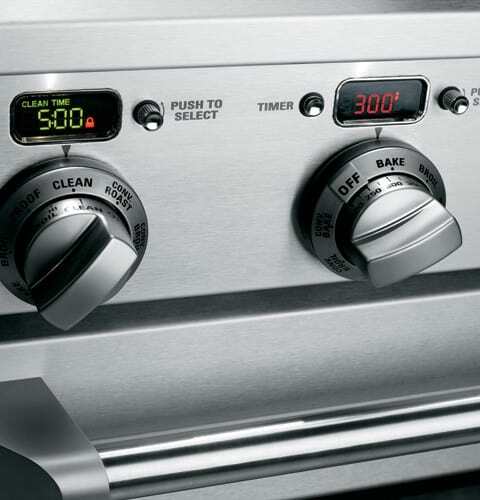 Large temperature and time displays make it easy to monitor cooking progress. Stainless steel griddle cover included with the range. Optional full-width stainless steel toekicks is included with the range. A bamboo cutting board is included. 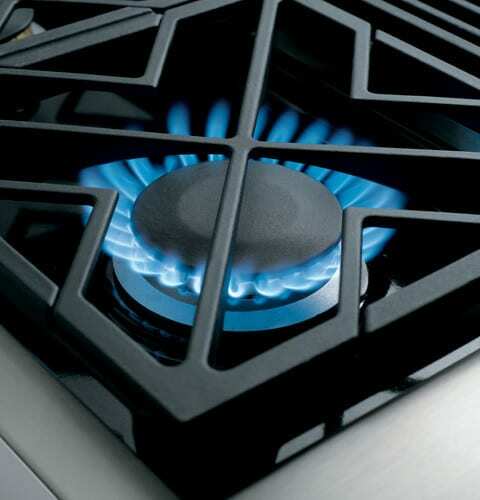 Optional fixed (12 inch) or adjustable-height (30 - 36 inch) backsplashes are available. Star-K certification allows Monogram ranges to operate in Sabbath mode. 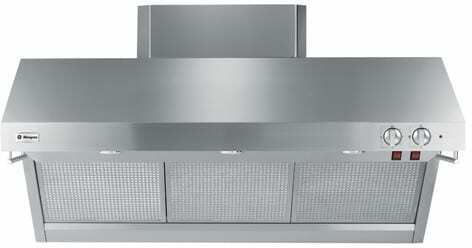 A 48" or 54" wide professional vent hood with a minimum 1200 CFM is recommended for installation over this range. Please see Monogram Special Offer for more details.